This adorable little two-year old came by yesterday for some updated birthday photos. He was absolutely precious and truly one happy little guy! I also love how his face lit up and he became very animated when you mentioned trucks. He evidentially saw a pallet truck at Lowes the other day and was beyond excited to share the news with me, as well as share about his other favorite trucks. My boys have historically been more interested in trains, so it was fun to meet a little boy so in love with all things construction and truck related! I pulled out all kinds of different seats for Jack to make the session fun for him and keep him interested. He really liked the curved white bench (which I've found is a favorite with most little kids) and the big white chair. His eyes also lit up when I brought out my toddler straw hat. Only one of my kids would ever tolerate a hat, but Jack wore it with a huge smile on his face! We finished the session with family photos and some with Jack and just mom or dad. I love when families get in the photo together since I know from experience how rare that is. Usually one parent is left out as they are the ones taking the pictures, so I love when everyone can be together for a special portrait. 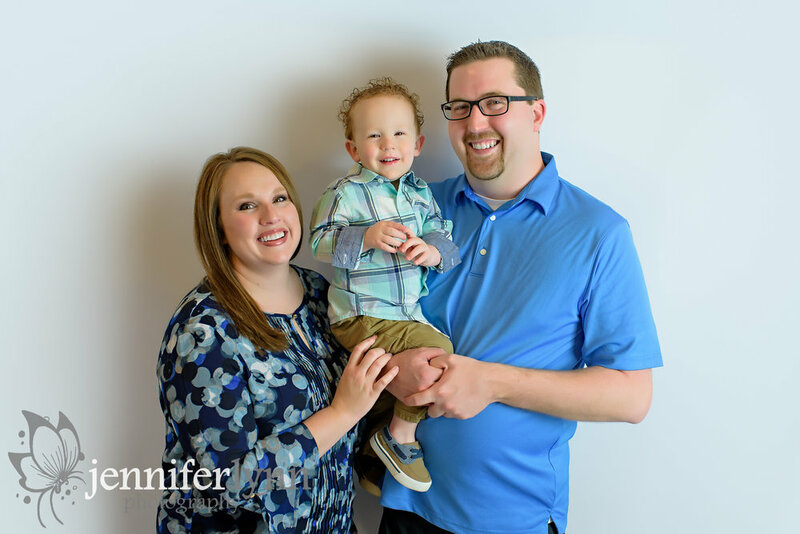 A big thanks to this family for allowing me to preserve memories of your adorable little boy! He is so precious and I hope to see you all again soon!